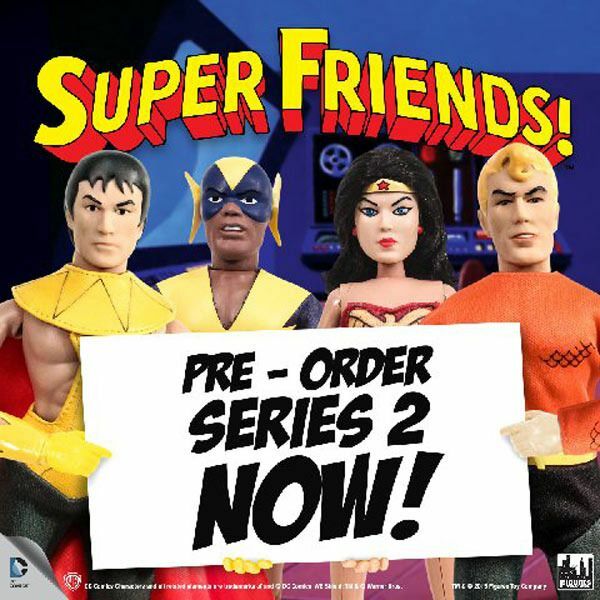 Series 1 of the Super Friends dolls. 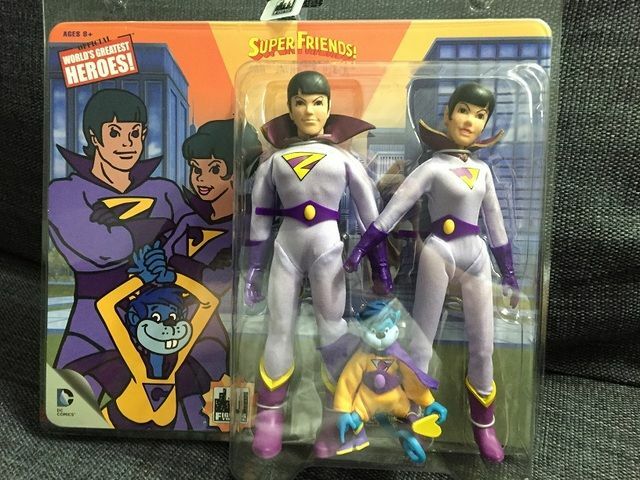 The Wonder Twins. Shape shifters, they can only "activate" and use their powers by touching their hands together. Should be shipping any time now. Cool! I think I like Samurai best. I briefly thought about collecting bobblehead dolls, but my grandsons got some and promptly removed the heads. So, I'm collecting rock garden plants instead. He's coming in a later series. 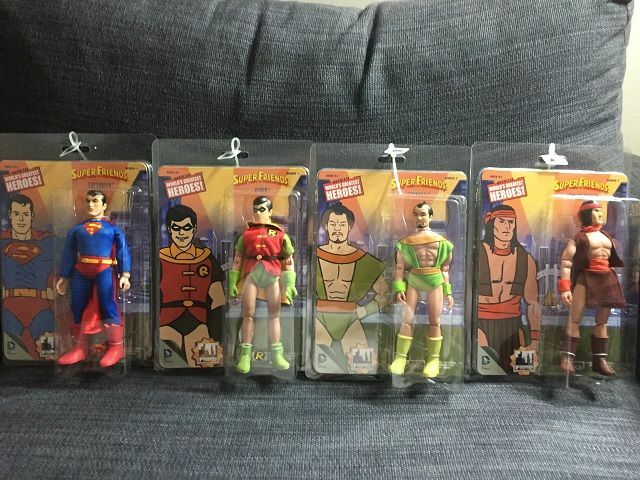 Series 1: Superman, Robin, Samurai, Apache Chief. Gleek?!?!? You mean our own beloved John Gallagher is a superhero?!?!?! 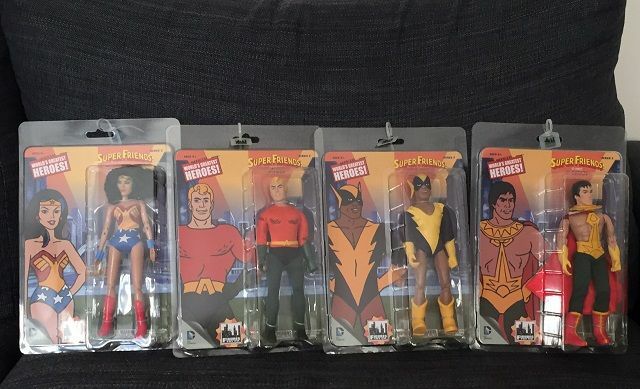 I got home today and some friends were waiting for me, some Super Friends. If I ever need someone with superpowers I'll call you and tell you to bring your sets with you. That should work.